It’s been a rough week. Either globally or nationally with the the stem rolling from the Senate to elect Kavanaugh into the Supreme Court. Let’s not get into the rage headache I’ve had for the past week. I am also knee deep in big project that has left me no time for self-care or much sleep. In other words, we could all use a STRONG drink. 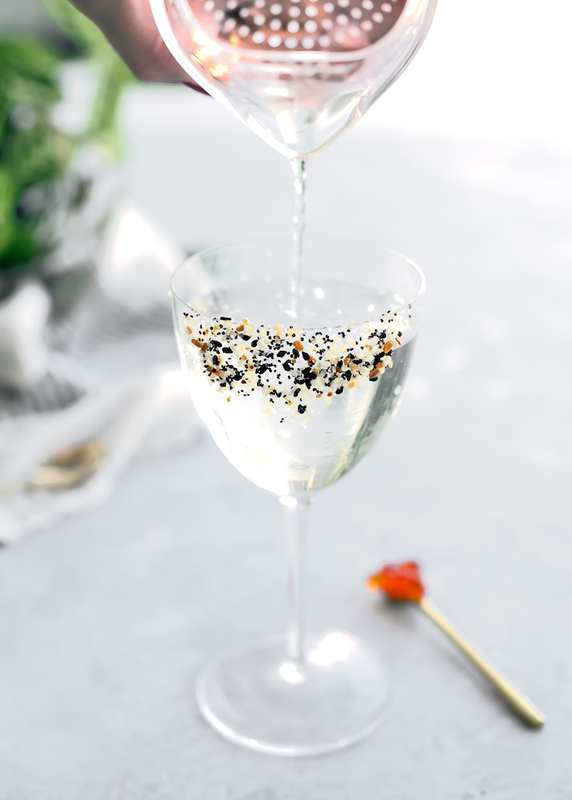 And I think this Everything Seasoning Martini might do the trick. Maybe two of them. 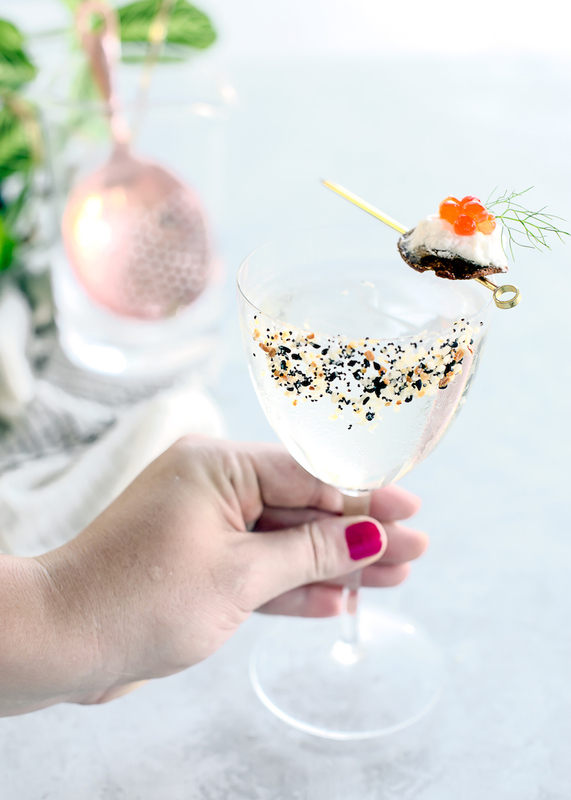 Oh, and a tini toast garnish with caviar! 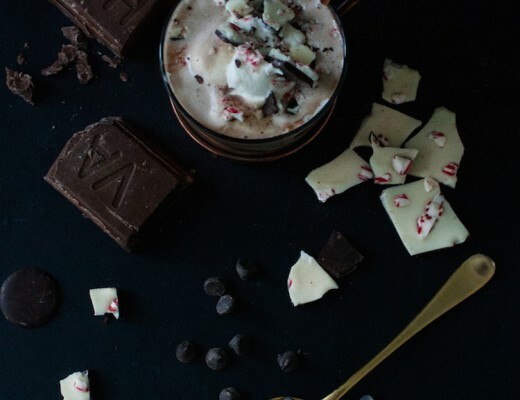 I love a good boozy, savory drink. 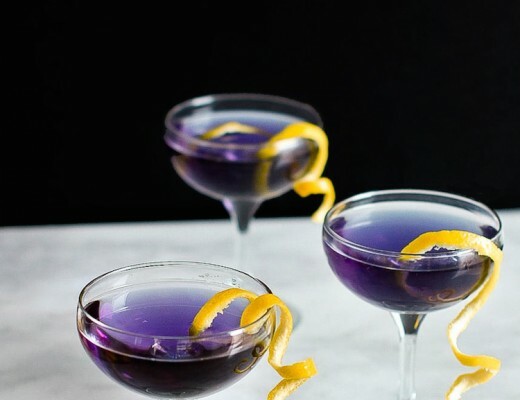 Martinis are the perfect cocktail for adding a savory note to. There is of course the dirty martini with meaty olives and brine, but there are a ton of other ways to get a savory fix with this formula. 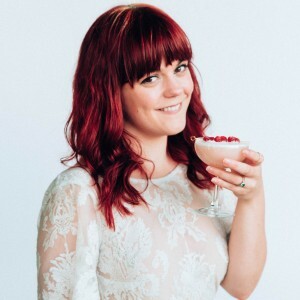 My recent favorite is the Everything Seasoning Martini. 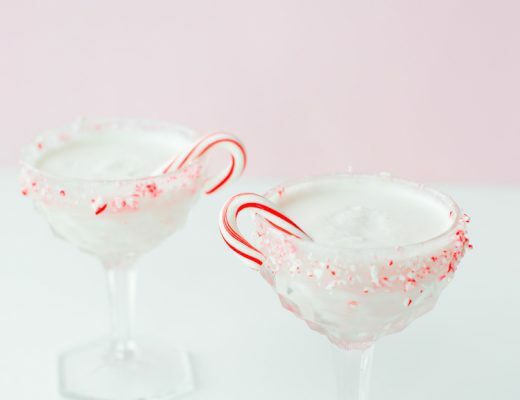 Because the name imply’s it, I went ahead and added it to a martini too and it is EVERYTHING! 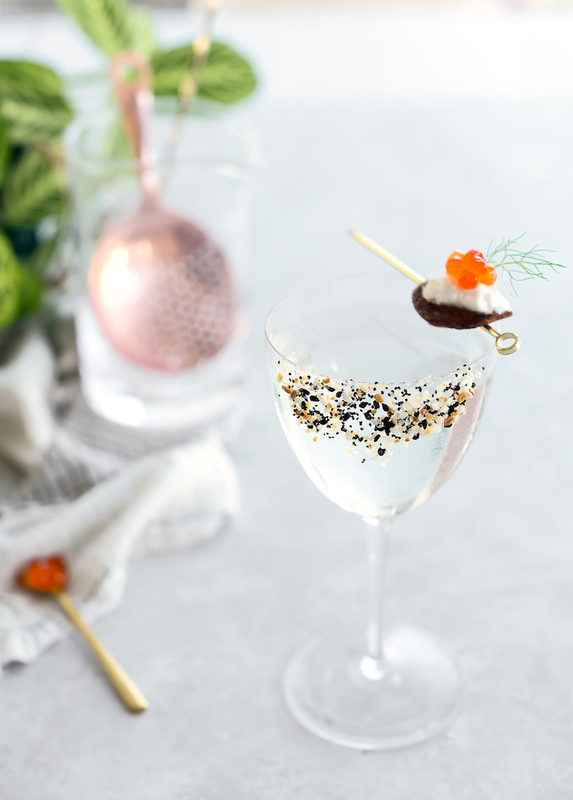 The salty, crunch, and savory flavors from the seeds, onions, garlic, and salt explode in the mouth with each sip of the martini. 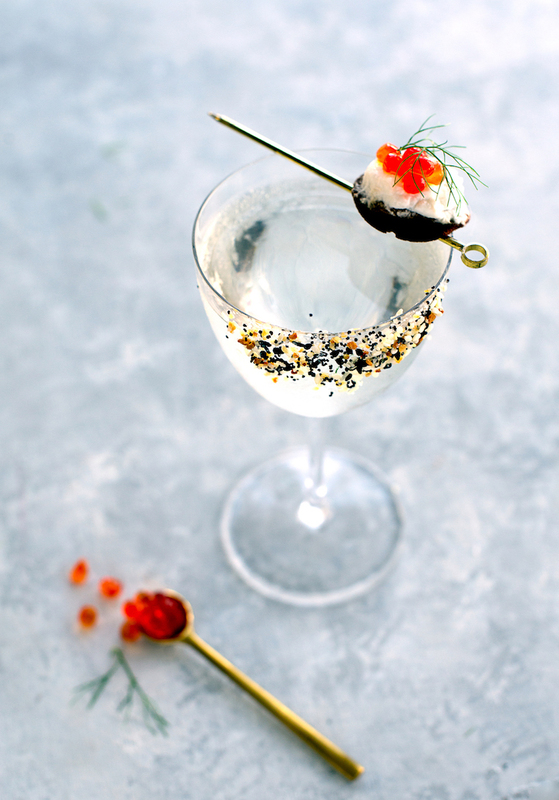 Instead of a gin martini, Aquavit was used here to accentuate the bold flavors of the seasoning rim. The caraway in the spirit is a perfect match for the everything seasoning. But if gin is your preference, it would also make a smashing martini. For other savory martini photos, see below! Wet rim of coupe glass with lemon or water and roll in everything seasoning. Set in the freezer to chill while you make the drink. In a mixing glass, add aquavit (or gin) and vermouth along with ice. Stir for 30 seconds. Strain into the chilled coupe. 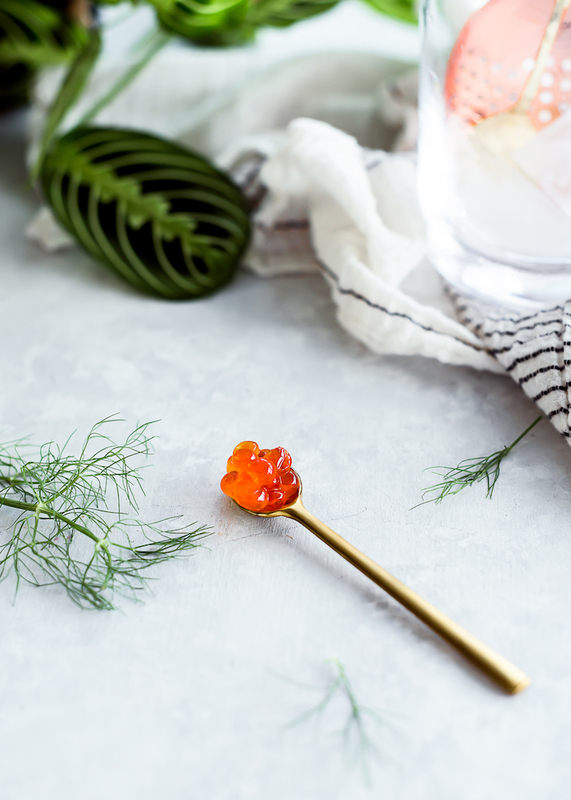 Garnish with tini toast. Whoever came up with the everything bagel sprinkles is a GENIUS. Also, so are you for putting it in a Martini!! I mean the inventor of the everything seasoning is by far a superior genius, but I’ll take it 😉 It’s perfect for a martini.